Nitto Kohki Australia is the sole distributor of the Japanese-made, superior quality, precision pneumatic tools. 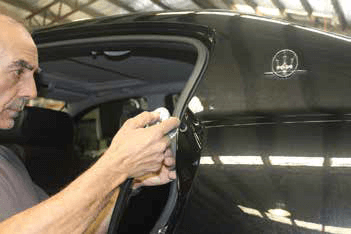 Best known for their Genuine Cupla range within Australia and New Zealand, Nitto Kohki has built a reputation for providing the automotive industry with high quality, tough tools, whilst delivering operator safety benefits and ease of use. It is also the distribution agent for Kuken tools, including their industry-leading impact wrenches, setting a benchmark in strength and durability. Utilising many years of experience and technical innovations, Nitto Kohki leads the way with its supreme pneumatic tool line up. Nitto Kohki’s extensive range of sanders provides mechanics with advanced labour saving and improved efficiency. These tools are highly manoeuvrable, compact and powerful in design, ideal for sanding and polishing metal, aluminum, wood, plastic and other materials within the automotive industry. 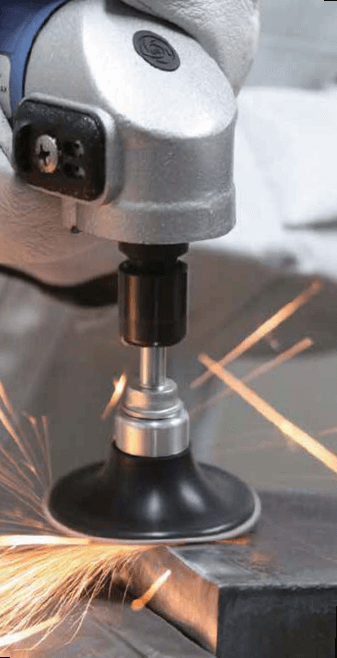 The Nitto Kohki range of sanders and grinders are versatile and highly adaptable, reaching difficult areas where most conventional tools can’t. The Myton Pneumatic grinder’s sleek ergonomic design with low angle head provides greater visibility of work in progress, while the advanced new silencer ensures noise reduction and the low vibration technology minimises operator fatigue. One of the newest additions to this range is the Myton MYS-20 Disc Sander, an indispensable asset to any automotive workshop. Whilst lightweight at only 0.6kg, this pneumatic tool is powerful with speeds of up to 19,000rpm. This highly manoeuvrable compact tool is ideal for sanding gaskets and other compact but detailed work. The Myton MYS-20 suits various abrasive ‘twist lock’ sanding disc pads ranging from 1”-2” in diameter, delivering advanced flexibility. With safety and comfort a priority, this tool has a locking throttle lever to prevent accidental start up and insulated handle to reduce vibration. The new-to-market CMX-20 multi-sander is a unique compact tool enabling proficient sanding within all those hard to reach areas. 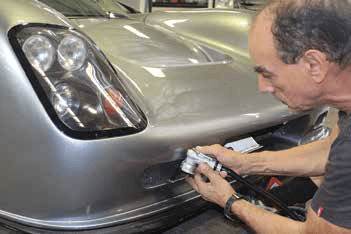 This highly versatile tool is perfect for automotive spot repairs on paint drips and over-sprays on sheet metal, castings, and machined parts. The CMX-20 is a high quality pneumatic tool weighing in at only 0.5kg and packing a powerful punch with speeds up to 14,500rpm. This tool delivers on flexibility with three interchangeable sanding pads of various shapes and sizes. Essentially it’s ‘three sanders in one’, with a 16mm finger pad, 2” round pad and 26x50mm rectangular pad. With safety and efficiency paramount, the CMX-20 multi-sander has an adjustable valve for a reduction in speed according to material and desired surface finish. For more information and to view the range meet with the team from Nitto Kohki at the region’s largest automotive industry event, the 2019 Australian Auto Aftermarket Expo (Stall Number C08, International Pavilion, Bay 4), taking place at the Melbourne Convention and Exhibition Centre, Southbank from April 4-6, 2019.